Bajaj Auto today launched the KTM Duke 390 at a mouth-watering introductory price of 1.80L INR ex-showroom Delhi. The bookings will start from Wednesday, June 26, 2013. The 390 Duke will have the Metzeler tyres and the ABS as standard. Duke is the second KTM offering in the Indian market from the Bajaj-KTM partnership. The 390 Duke combines43.5 Ps of serious power, 35 Nm of unmatchedtorque,agile handling, and a host of premium features like ABS, Metzeler tyres, aluminum swing arm, aluminum alloy wheelsand many more making it a powerful bike ideal for both racing as also cityand highway rides. At 373.2cc the 390 Duke would also be the first midsize sports bike in the country. It will be sold and serviced exclusively through 71 exclusive KTM Showrooms& Service centres, the country’s largest network exclusive for premium motorcycles. As with all KTM’s the 390 Duke would boast of an impressive power/weight ratio of 300 Ps/tone unmatched by motorcycles from segments higher or lower than the 390 Duke. Such power-weight ratio would give the bike impressive pick-up, top speed and maneuverability. Styled on the lines of the bigger KTM Dukes the 390 Duke also comes with a radical and sharp design – A TRUE BLUE KTM. 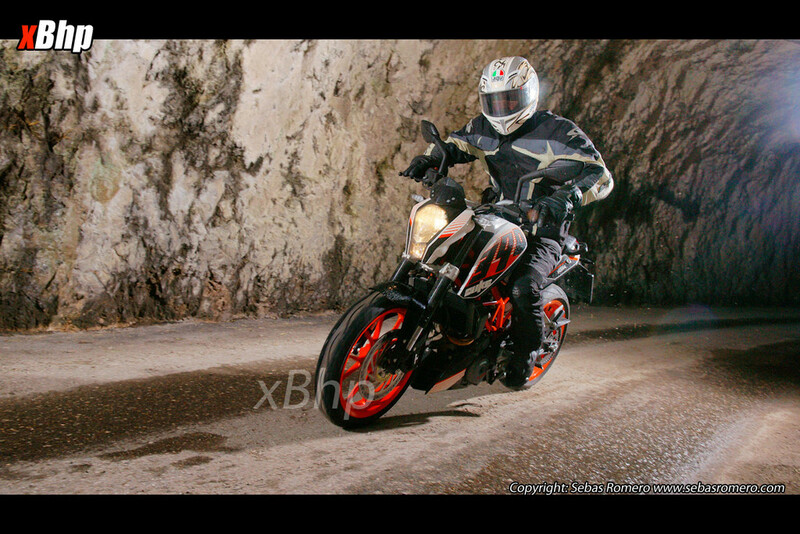 The KTM 390 Duke has been launched at an introductory price of Rs. 1.80 Lacs- Ex Showroom Delhi. Bookings for the bike would commence from 26th June 2013. p.s. : Thanks to @antz.bin for sending ll the live updates from the launch. Last edited by sunilg; 06-25-2013 at 03:54 PM. senotrius, eliksir, ryan.virgo and 8 others like this. Let the party begin...I am so tempted to put my less than a month Duke 200 for sale. Anyone interested? itsmevini123, atulninja.negi66 and RyderPavan like this. Fingers crossed... It has been a long wait indeed! No its not about speed, its about turning and shifting those gears! Last edited by JayD; 06-25-2013 at 01:11 PM. The beast rips the road, hell yeah, i feel alive.